Hello, I’m Dr. Ana Balica. Thank you for choosing my office, on your journey toward better health. If you take a moment to read some of the online reviews, my patients will enthusiastically tell you (in their own words) that you have made the RIGHT choice. Over the past 25 years I have successfully treated thousands of men, women and children who were suffering with dental and health issues. I am honored that they began our dental relationship, just like you, with their first phone call to my office. A question I’m frequently asked: Aren’t all dentists the same, more or less? My reply: While it’s true that all dentists go to dental school to learn the basics, some of us continue to learn even more . . . I am a biological dentist and I’d like to share some exciting SECRETS that go way beyond your teeth. Recent studies have proven the “Oral Systemic Connection“, which means that compromised oral health may be a serious risk factor for diabetes, heart disease, cancer and stroke. Many of my patients have dramatically improved their overall physical health after receiving effective dental treatment. As a biological (also known as Holistic) dentist, I don’t just treat a problem, I look for the reasons that you developed that problem to start with! I am also concerned with the safety of dental materials and only use the highest quality that are systemically compatible. If you would choose organic food, you should also choose a biological dentist. Having almost 25 years of experience, I can offer safer dentistry that’s better for your whole body! The following are just a few of the many positive reviews I have received . . . I have an auto-immune condition and I’m extra sensitive. Dr. Balica is the only dentist I have ever been to, who paid attention to my special needs. Having her safely replace my old silver fillings was one of the best choices I ever made! Since then, I feel that my body has had a chance to heal, more than it has in a very long time. With Dr. Balica I feel comforted and at ease, that I am in the best hands possible. I am so very grateful to have been your patient over the past few years. I am evermore inspired by your values and what you represent and stand for in the dental community. The way in which you have attended to me – with such care and thoughtfulness did not go unnoticed. Without you I would have been in bad shape! Thank you so much for everything, Dr. Balica. I’ve always felt “at home” here. This is the first time in my life, that I found a dentist who is kind enough to explain each step of the treatment. This just makes me feel like I matter. 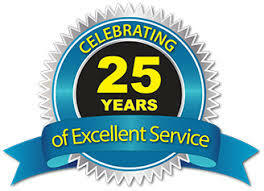 I have been a patient of Dr. Balica for over 20 years. During that time she has exhibited the highest degree of professionalism as well as bringing a holistic approach to her practice. Other offices run an “assembly line”, where they rush you in and out. This doesn’t exist here. You are made to feel like you are the only patient that exists, with care at its best. I came to Dr. Balica after watching a documentary on Holistic health and after speaking with a leading dentist presented in the film. I called his office to find help locating a dentist in my city, who performed the safe method to remove and replace my toxic silver fillings. I found out she is one of only two dentists who perform the procedure and I’m glad I did this after ten years of neglect. Dr. Balica is wonderful! She is very understanding and helps people like me, who are big “chickens”, to relax. More important, she recognized a medical problem and referred me to a physician, who confirmed her suspicion! I am very grateful to her for that. Dr. Balica is an incredibly impressive doctor. She is so competent and knows what she is doing with precision. In addition, she always takes the time to explain the problem and what should be done about it. In Dr. Balica’s office, we are treated like human beings and not as just a number. I get the feeling that Dr. Balica and her staff like their patients. I came to Dr. Balica with four metal fillings, hypothyroidism and adrenal fatigue. With Dr. Balica’s help in safely removing my metal fillings and changes in my diet, I am recovering and feel better than I have in years. 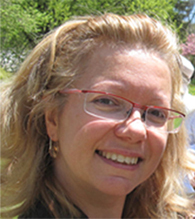 Dr. Balica’s holistic approach makes me feel safe, not only in my teeth’s health but my overall health. Dr. Balica’s work is brilliant and beyond state-of-the-art. I am so grateful I found her. I was looking for a natural (biological) dentist who could safely remove my silver mercury fillings (my Father suffered from dementia). Not only did she do a beautiful job with that, she is also right for all other dentistry. I’m always treated with great respect, care and concern. It’s a fun office, everyone is so nice! My dental problems have been solved in an excellent manner by Dr Balica and all her staff. I did not have really bad experiences in other offices but coming to Dr. Balica takes away any anxiety or negative feelings that would appear when going “to the dentist”. I am 82 years old and this is my third experience with full denture treatment (the last two were from other dentists). Dr. Balica practices state-of-the-art holistic dentistry, which exceeded my expectations. Dr. Balica is warm, kind, friendly and extremely patient. This is true of her staff. Highly recommended . . . she rates a 10! Secret 1 : The raging debate over “Silver” metal amalgam fillings . . . only you can decide! FACT : Several European countries have banned the use of amalgam fillings by dentists! FACT : Some dental schools no longer allow their students to place amalgam fillings on clinic patients! FACT : New York State EPA requires dentists to pay for certified disposal of old amalgam fillings as TOXIC WASTE! Important Advice: Choose carefully where you have it done . . . and by whom! Some dentists may advertise “Mercury-Free” but they may not be “Mercury-Safe”. Amalgam “silver” fillings commonly contain 50% mercury . . . one of the most toxic substances on the planet. If you have made the personal decision to replace your old silver fillings, you must have this done in a “Mercury-Safe” office. You need to understand the difference and how to protect your health! “Mercury-Free” means that the dentist does not use amalgam metal fillings at all. “Mercury-Safe” means that the dentist has specialized equipment, advanced training and years of experience, to reduce your exposure to potentially toxic elements which may be released in the removal process. “Mercury-Safe” dental offices treat amalgam removal very seriously and carefully. My office is both “Mercury-Free” and “Mercury-Safe”. Don’t risk your health needlessly, I can help protect you. I am accredited by the IAOMT.org in the SMART amalgam removal protocol > https://iaomt.org/for-patients/search/ana-corina-balica-dds . 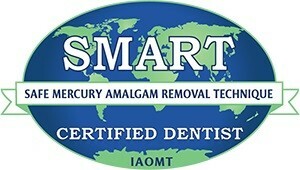 You can learn about the SMART protocol at > https://iaomt.org/safe-removal-amalgam-fillings. I want to make it absolutely clear, however, that the decision to remove and replace these fillings can only be made by you. Want more information about Mercury Amalgam fillings? Dr. Mercola has had frequent appearances on national media including the Dr. Oz show and major news channels. Secret 2 : Is your dentist using the SAFEST materials in your mouth ? Did you know, that not all dental materials may be right for you? All of my patients, especially those facing serious medical challenges, have the available option of Biocompatibility Testing. This definitive blood test will specify the exact brands of dental materials which are best suited for your body chemistry. Recent studies have suggested that systemic inflammation can place a burden on your immune system and stress new or pre-existing medical conditions. Dental products are foreign to the body and will affect each individual’s immune system in varying degrees. A small sample of your blood is tested for reactivity to the components of over 3000 dental materials that can be placed into 21 different categories. Each category is then divided into three sections: Higly Reactive, Moderately Reactive and Least Reactive. Categories include products that fall under the listings of: cements, composites, high noble crowns, low noble crowns, dentures, bonding materials, temporary materials, etc. Each category has a continually growing list of dozens to hundreds of brand name products. Each dental product is followed by a code from which I can find the name and phone number of the company that distributes that specific dental material, which I will order exclusively for you! My office is the LARGEST and MOST INNOVATIVE Holistic dental center in Queens County, New York. As I approach 25 years in practice and over 30,000 patient visits, I am proud to announce a 98.7% patient satisfaction history. Dislike waiting endlessly in the doctor’s office? I have a 91.3% “On-Time” appointment record! To reserve your special consultation, call me at 718-545-7175. Don’t you deserve a Biological Dentist? Biological dentistry, takes into account a person’s physical and emotional health. As a biological dentist since 1994, I have helped thousands of patients to look and feel their best. I use natural therapies (often in combination with conventional ones) to prevent, diagnose, and treat diseases of the oral cavity. Oral health is crucial for overall health. The oral cavity is the place where many microbial infections first enter the bloodstream. Compromised oral health may be a risk factor for diabetes, heart disease, and stroke. Your personalized treatment plan will include preventative care which goes beyond just practicing good oral hygiene. Your body can heal, given the right conditions. I believe strongly in better nutrition and positive lifestyle changes. I can help you save your natural teeth. Together we’ll create the healthy, beautiful smile you deserve, using the finest bio-compatible materials. In a RUSHED digital world, I offer “old-fashioned” courtesy . . . I take the time to show and explain any problems I find. I discuss your options and what’s comfortable for you. l Iisten to what’s on your mind, be it emotional, technical or financial. I respect your time, and don’t keep you endlessly waiting. Even though I use the phrase “old-fashioned”, rest assured I am quite modern and up-to-date. You’ll find a spotlessly clean, warm and attractive facility with all the latest equipment and technical services. More important, in my office you’ll find a safe environment to share all of your oral health concerns, confidentially with me. Do you have fears about dental treatment? Are you embarrassed about missing teeth? Are you ashamed for “letting your mouth go”? Are you annoyed with yourself for putting off treatment? Are you worried how you can afford the cost of treatment? Do you need special encouragement to “get started”? Secret 3 : Do you have chronic bad breath? Embarrassed? Do your teeth HURT when you chew? It may be gum disease. Bad breath is usually just the first warning sign, along with slight bleeding, when you brush. Chewing more gum, to try and cover the odor, is not the solution. Gum disease is often completely painless, until the last destructive stages. At that point, surgery may be recommended. Now there is an effective non-surgical alternative, that you can use at home. Bad breath (also known as Halitosis) is usually due to Periodontal (Gum) disease, 95% of the time. That unpleasant smell comes from pockets of bacterial infection, located under your gums, around the roots of your teeth. No matter how often you brush or floss, these pockets never get clean. They only get larger and deeper, as the infection progresses to eat away the bone, anchoring your teeth. It is estimated that over 75-80% of the adult population has this affliction. Even worse, there is no permanent cure. Periodontal disease, if left untreated, is the major reason that adults eventually lose their teeth. If it is very severe, it may require the services of a dental specialist, who will try to perform heroic surgical procedures on the gums. Not a pretty picture. Now for some good news, hope has appeared, to tame the beast. I have developed a successful, non-surgical, multi-step program to get this under control. This includes the use of Laser technology, which will painlessly reduce the level of infection around your teeth. Depending on the severity of your condition, I can also offer another painless and cost effective method for treating gum disease in the privacy of your own home. A breakthrough product, called Perio Protect (https://www.perioprotect.com/), has shown to effectively reduce gum bacteria and shrink the pockets of infection around your teeth (when used as instructed). In some cases, it has actually encouraged new bone growth, which was considered impossible just a few years ago. This remarkable product is not available in stores and must be prescribed by a trained Perio Protect Provider. Patients have reported seeing significant improvement, in as little as 30 days! Call my office TODAY to schedule an evaluation, so I can determine if you are a candidate for this life changing system. 718-545-7175. Please call again if the lines are busy. Limited Space and Availability . . . Act Now! I am honored to welcome many referrals from delighted patients, their families, friends and co-workers. This is a testament to the confidence they have in me and my staff, to provide a superior dental experience. I have recently expanded my hours, after numerous requests from my loyal patients. As a result, I have a limited number of premium appointments available for new patients, if you act quickly. To reserve your special consultation, call me at 718-545-7175.